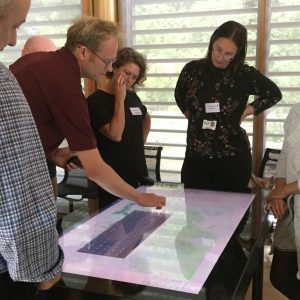 Five interactive models were in action during the day, including the mini hydraulic flume, wave tank, augmented reality (AR) sandbox, projection augmented relief model (PARM) and iCaptureFlood table. 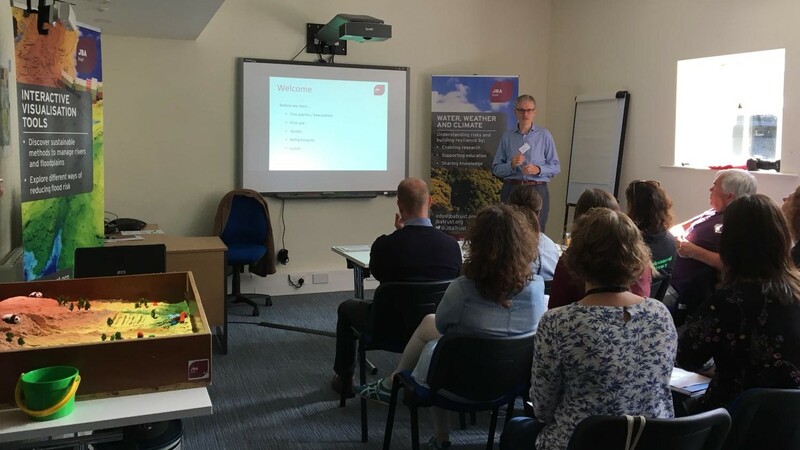 Following the demonstrations of all of the models, the group shared their thoughts and ideas on how they could be used in the community, with schools, practitioners and policy makers, and we are looking forward to developing these ideas further over the coming months. 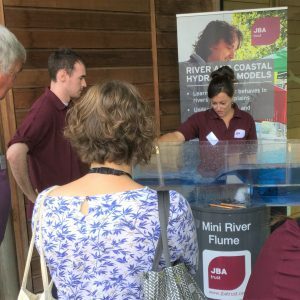 Our thanks go to our colleagues from JBA Consulting who supported the model demonstrations.